1. 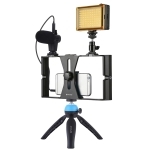 This is camcorder professional LED camera light. 2. 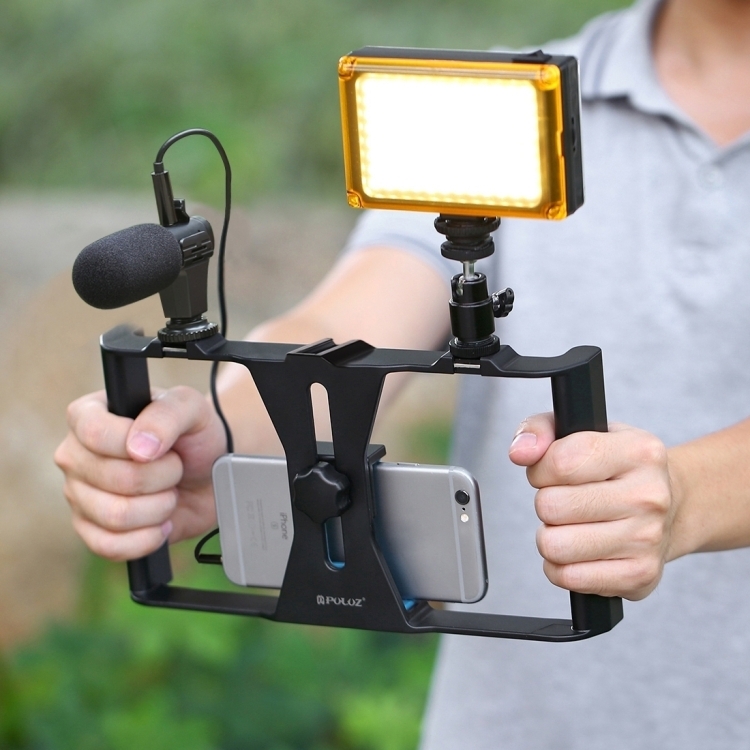 Mini design, easy to take in pocket and light for phone photography or DSLR camera photography. 3. Include independent power switch and keep the same brightness out when switch it on again. 4. 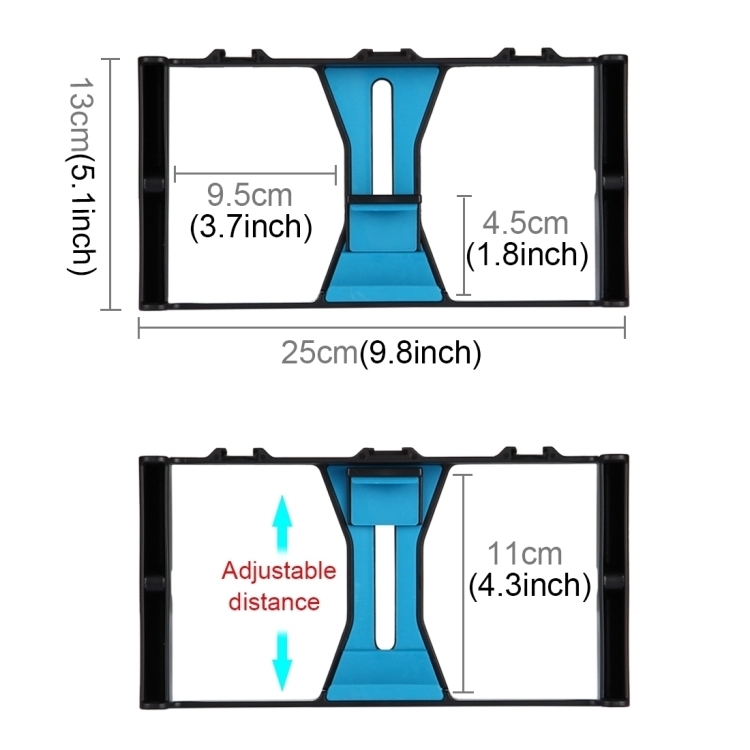 Support lithium battery power input or 4 x AA batteries (batteries not included), more convenient to use. 5. Support external power input (micro 5 pin port), suitable for long time use. 6. Built-in 96 pieces high quality LED beads. 7. 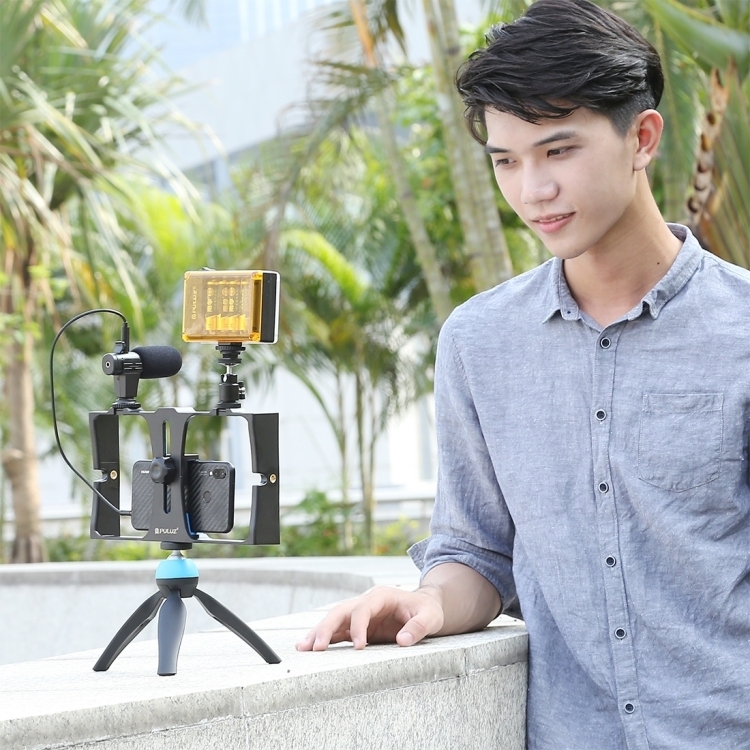 Rotating the switch can adjust the brightness without filter plates, suitable for a variety of photography atmosphere. 8. Highly efficient, power-saving, low energy consumption. 9. 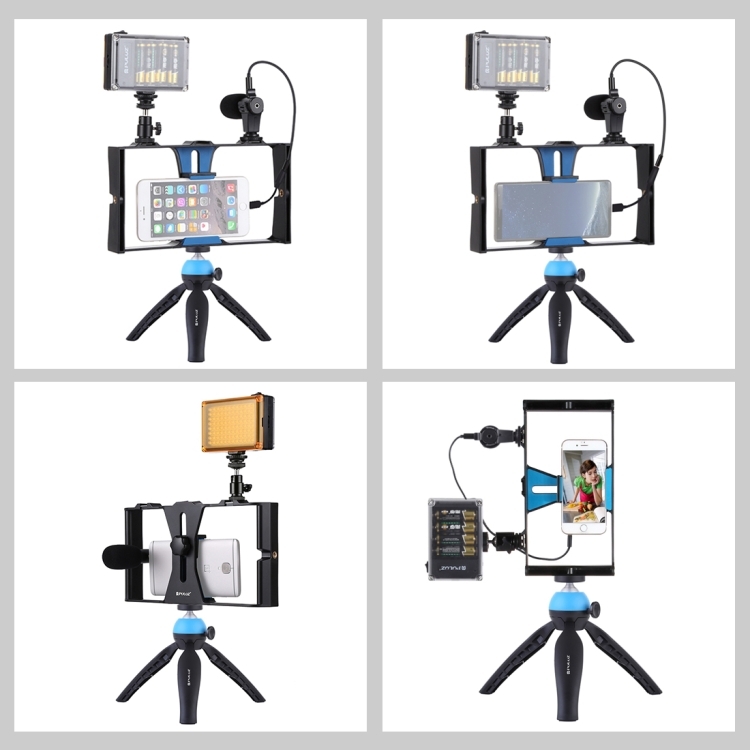 Can be fixed in the camera hot shoe socket, professional light frame or camera tripod use. 10. With a 1/4 inch female screw for DSLR like Canon, Nikon, Sony, and other Camcorder. 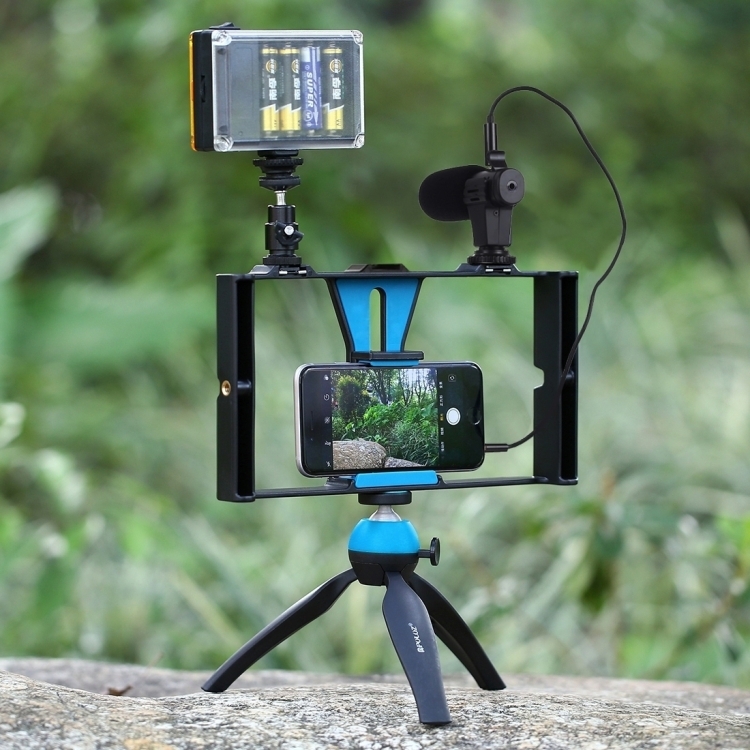 In additional, it could be used on a 1/4 inch tripod to help iPhone owner to take wonderful videos and photos. 1. 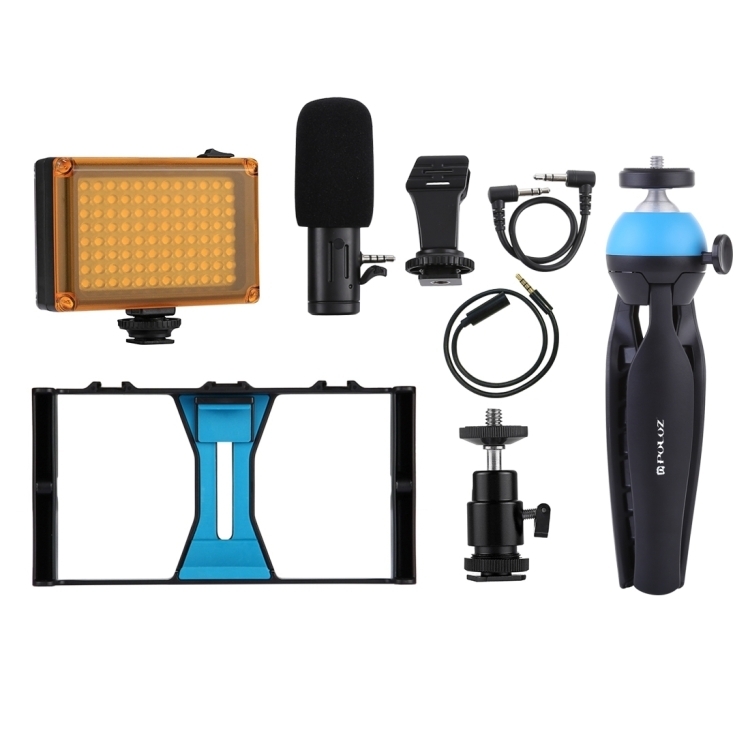 The microphone can be fixed on the DV with microphone hole and path. The MS stereo system enables a natural sound pick-up. Delivering a stereo sound image with superb clarity. 2. The pickup pattern (affecting the soundstage width) can be set to 90 or 120 according to the sound. 3. 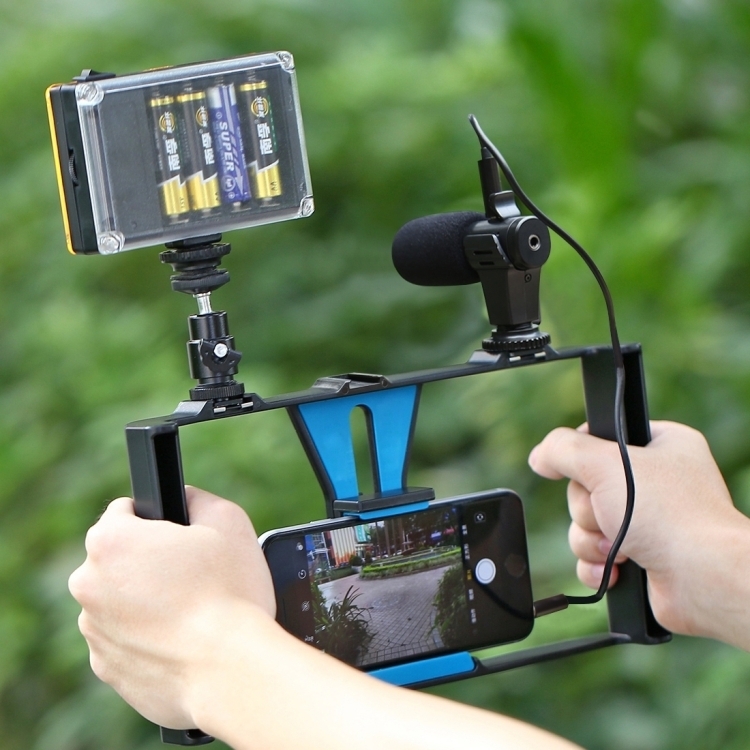 Fit any device that have 3.5mm MIC socket and hot shoe. 5. Sensitivity: -40dB+/-2dB (0dB = 1V/Pa at 1KHZ). 2. 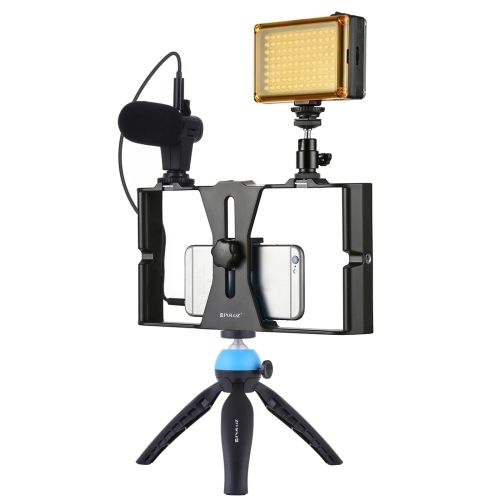 With 3 standard shoe mount slot, you can get lighting and microphone attachments. 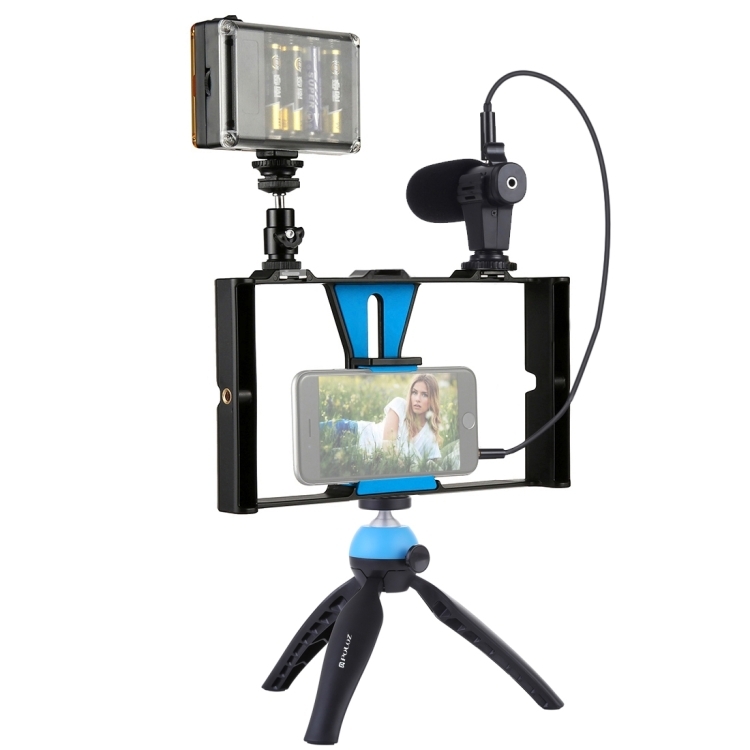 A fantastic tool for who need take higher quality phones or videos close to professional level. 5. 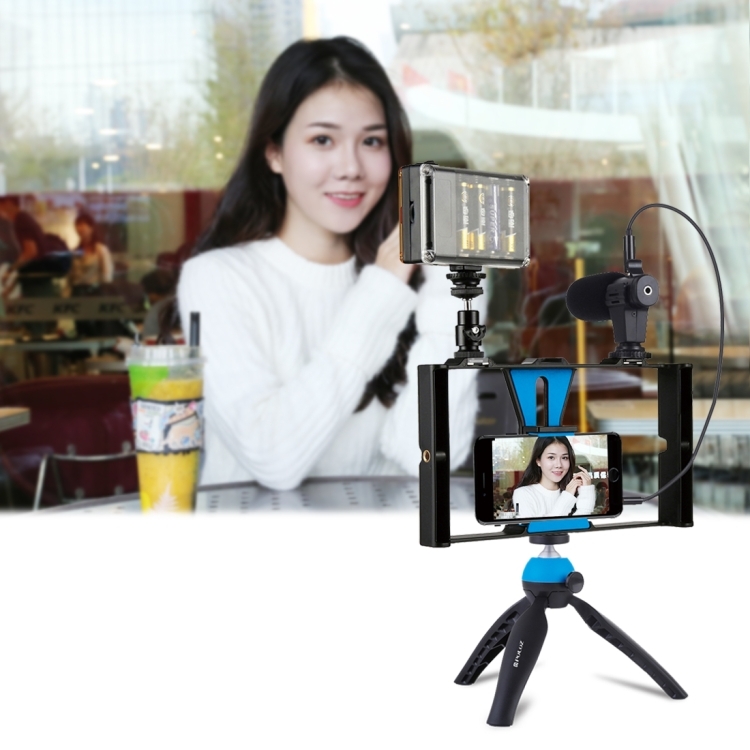 Compatible with iPhone 8 Plus, iPhone X, Samsung, Huawei most smartphone with or without a case from 2 inch to 3.5 inch wide. 1. 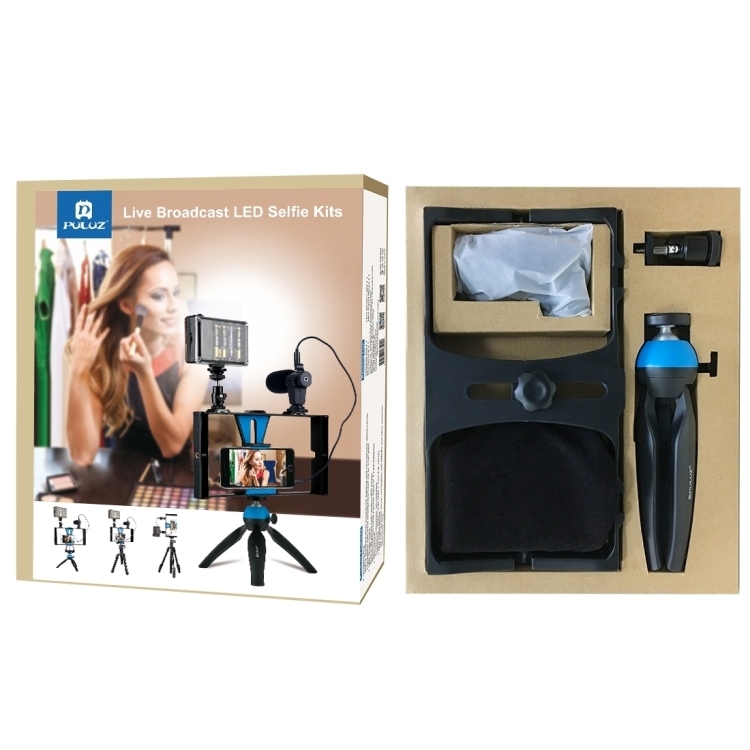 Lightweight and portable design, only 150g. 4. 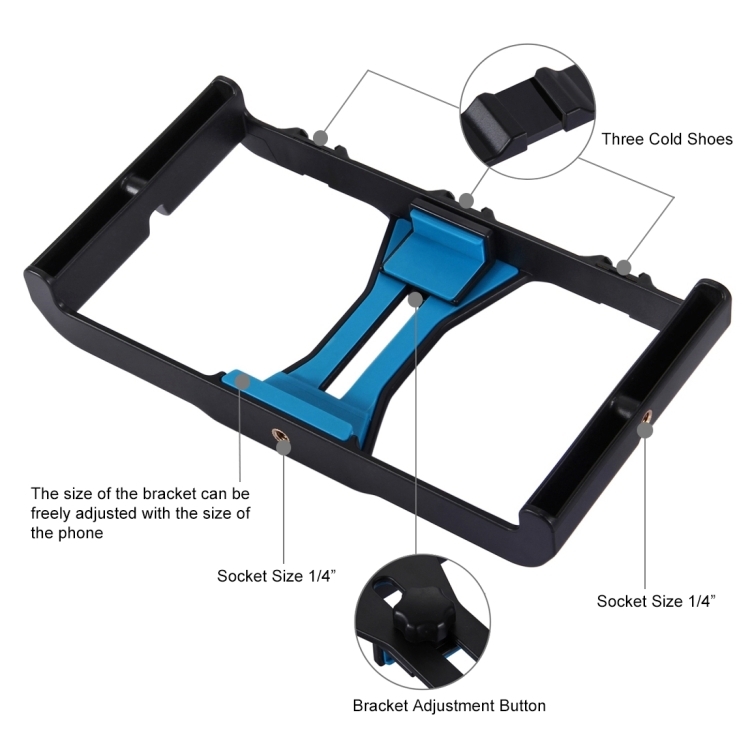 With this solid construction, it provides a secure base in every situation and the rubber feet guarantee a stable and slip-free on any surface.